September 7, Thursday, 3:30-4:30: MESD Employee Wellness Committee: Join the monthly committee meeting, either in person at Ainsworth or by phone. We welcome your participation. 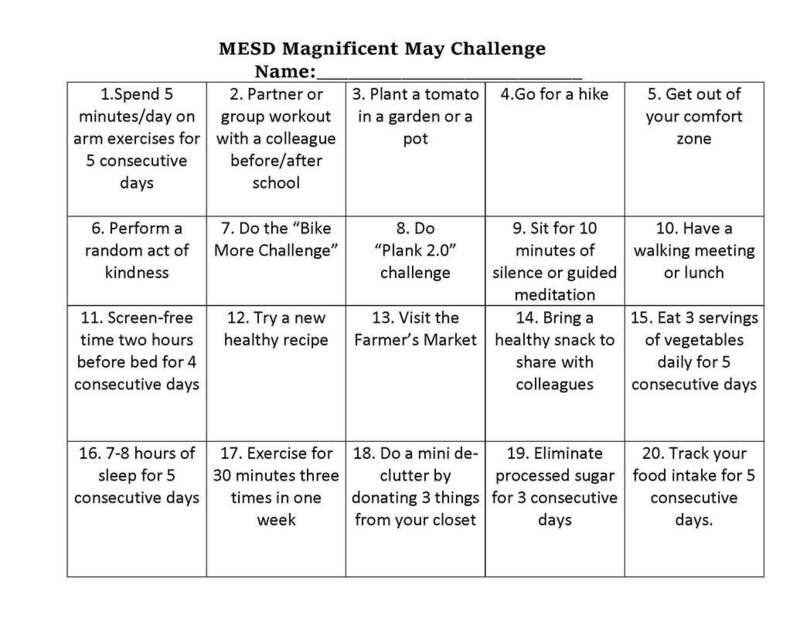 We want to grow opportunities to support wellness all over MESD. Email eemlen@mesd.k12.or.usfor information on phoning in or attending the meeting. Beginning September 11, Mondays, 6:00-7:30pm: Basketball at Wheatley: All MESD employees are invited to participate. Kevin Yaws and Jared Ramsey will referee the weekly games - it's our own MESD basketball league! Email kyaws@mesd.k12.or.us for more info and to let him know you're in. No cost. The Employee Wellness Committee will host an information meeting for anybody at MESD who would like to join an At-Work Weight Watchers meeting. We plan to have weekly meetings at the Ainsworth building, 7:30am, starting October 5. If I receive at least 15 RSVPs, we will plan to have an information meeting in room 346 at Ainsworth (room 346) on Thursday, September 28, 7:30am. There is no weigh-in at this meeting. It's just to get started. Please note that October 1 is "clean slate" day, so if you have been enrolled in Weight Watchers and didn't make it to your meetings, OEBB is giving you a chance to start fresh. OEBB benefits cover the cost of Weight Watchers meetings and online! ** For folks already doing Weight Watchers, if you are a Lifetime member and at goal, you don't count toward the minimum. If you are Lifetime and more than 5 lbs. over goal, you may enroll. Please let me know if you think we have at least 15 people at another MESD location who are interested - I can set up an additional groups. Weight Watchers is a super way to improve your nutrition and well-being. See https://www.weightwatchers.com/us/ for more information. You set a goal, receive guidance, weigh in privately weekly, and learn tips to help you succeed. You can do Weight Watchers on-line or sign up for meetings that are most convenient for you. Please contact me by September 5 to let me know that you will come to the September 28 information meeting.